I am pleased to let you know that Dr Sameer Kale, Shivananda, teacher and guru, will be coming from India to visit Malindi Centre, in West Wales. He is great grand master of Omni Healing, grand master of Usui Reiki, Independent teacher of Meditation and Dr of Homeopathy and is coming to help you further your spiritual journey and self development. 1. 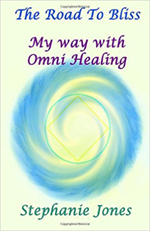 Progress your natural healing abilities and learn Omni Healing Level 1 and 2. 2. Existing Omni students may be ready to learn and master another level of Omni Healing or another related Omni system. 3. Learn Usui Reiki with Dr Kale, from beginners Level 1 up to Grand Mastership Level. 4. Existing Reiki students of Dr Kale may be ready to learn and master the next level of Reiki. 5. Existing Reiki students, not originally taught by Dr Kale, are able to receive a powerful attunement/initiation called Omni Shakti, to magnify and increase any present Reiki system. NOTE: All attunements received from Dr Kale come with a very valuable protection against negatives of all kinds; this is unique and reduces the fear and anxiety that can be associated with energy work. 6. Have a Healing treatment. 7. Have a Ramal Astrology reading. 9. Come to a spiritual meeting/ share, to share information. Book soon; this is always a popular visit. You can phone 01559 372 395 or text on 07879858804.